Tech companies get tarnished in the 2018 Harris Reputation research results. Longtime readers of the Nones Notes Blog have seen periodic articles about the evaluations done every year (since 1999) by the Harris Poll measuring the reputation of the 100 most visible U.S. corporations. As perceived by the general public, in these annual rankings technology companies like Google, Facebook and Amazon have tended to outrank most other iconic brands across a variety of attributes. Harris’ 2018 research results have now been published, and they show that the reputation of tech companies has been hit rather hard – all except for Amazon, that is. It’s true that Amazon continues to be top-ranked (repeating its performance in 2017), but Google fell out of the Top 20 altogether, dropping from #8 position to #28. Apple tumbled even more precipitously, falling from the #5 position to #29. Facebook isn’t even in the Top 50 any longer; it languishes in the bottom half of the companies evaluated, now living in the neighborhood of companies like General Electric and YUM! Brands. Of course, even the no-longer high-flying reputations of the tech firms can begin to compare with the bottom-dwellers – the companies who saw their reputations get hit with a ton of bricks over the past year and are now marooned at the very bottom of the Harris listing. More business management tools than ever … yet many small businesses stick with spreadsheets and other “outdated” processes. It seems like there’s never been more information – and technologically based solutions — available concerning marketing, sales and other business operations support than there is today. Just go online, type in a few keywords, and watch how many hundreds – in some cases thousands – of web links pop up. And there’s a lot that’s really quite beneficial and instructive. But even with such a smorgasbord of information – much of it available free of charge – it can actually be overwhelming for owners and managers of small businesses. Maybe it’s “analysis paralysis.” Or perhaps something more fundamental. Typically, small business owners wear many hats inside their companies — a jack of all trades and master of maybe just one or two. The same dynamics are at work in the field of customer information management as well. 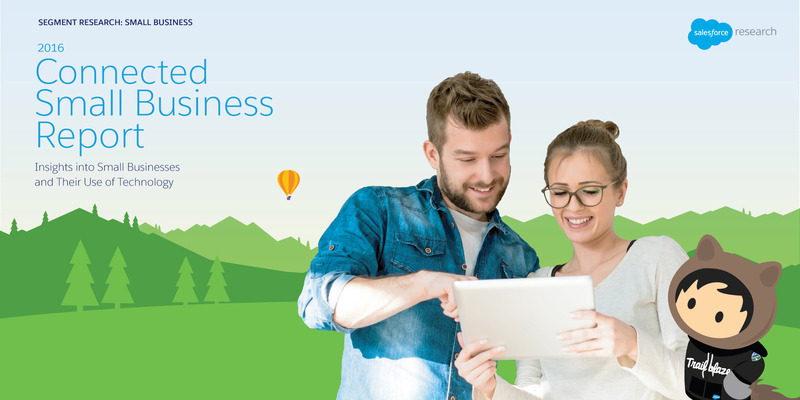 Last year, the Harris Poll surveyed a group of small business owners on their practices in this realm, and the results were published this past December by SalesForce Research in its 2016 Connected Small Business Report. The results showed that small business owners continue to rely on outdated processes such as spreadsheets (or even paper-based systems) to store and track their customer information. As for more modern (digital) tools like CRM and analytics, it isn’t happening much at all. For starters, more than 80% of the companies surveyed by Harris reported that they do not have any dedicated IT staff – so it comes as no surprise that nearly three-fourths of company owners are the ones responsible for making their companies’ technology buying decisions. Note: Tally above exceeds 100% due to multiple mentions. So on balance, it looks as though most small business aren’t really tapping into many of the “new tools” that could help them manage their businesses and their sales, marketing and customer retention programs better. It may be a similar dynamic to what we see with small investors. Today there’s more investment information available than ever before – and it’s right at people’s fingertips, too. Even so, often the result is … to do nothing. 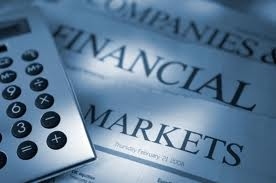 Whatever the choices are, so many investors make no changes at all to their investment portfolio. And just like there are financial planners to assist the timid investor, there are plenty of business consultants ready and willing to guide small business owners in ramping up their operations. But that’s another entire discussion, of course. To access a copy of the 2016 Connected Small Business Report, click here. Inked in stone: One societal trend that’s going off the charts. What’s one of the biggest societal trends in America nowadays? Believe it or not, it’s the rapidly growing popularity of tattoos. Once the province of just a slim slice of the American population, today we’re smack in the middle of dramatic changes in attitudes about tattoos. Let’s begin with figures published by the Harris Poll recently, based on its survey or more than 4,000 American conducted in late 2015. That survey finds that nearly one in three Americans age 18 or older have at least one tattoo (29%, to be exact). Not only did that percentage surprise me, but also the increase that represents over a similar Harris Poll conducted just four years ago. In that survey, ~21% reported having a tattoo … which means that the nearly 40% more people have tattoos today than in 2010. Pretty amazing, I thought. And the surprises don’t stop there, either. 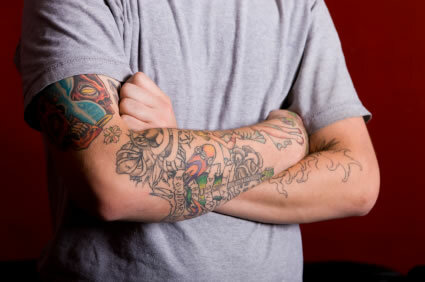 Of those people who are tattooed, more than two-thirds report that they have more than one tattoo. In conclusion, I think it’s safe to conclude that tattoos are a generational thing. Those of us north of age 50 don’t have any tattoos — and likely will never get one. But for the younger generations, not only have tattoos gone “mainstream,” for many they’re a decidedly aspirational thing. And that, of course, means ever widening acceptance of tattoos along with encountering more of them than ever before. I’m trying to remember the last time I visited our local library in our town. It was more than a year ago … and it was to attend a community meeting, not to check out a book or use the reference materials. For me at least, access to the Internet at work, at home and on mobile devices has made the library pretty much irrelevant to my daily life. There was a time — not so many years ago — when I went to the library on a weekly basis. I even traveled to other cities to do business-oriented research in larger libraries that were the designated repositories of U.S. Census Bureau, Department of Commerce and other government publications. So based on my personal evolution, I was a bit surprised to read the results of a recent Harris Poll that surveyed ~2,300 Americans aged 18 or older on the topic of libraries and their role in people’s lives. Harris found that ~64% of the respondents it surveyed have a library card — a statistic that is higher than I thought it would be. 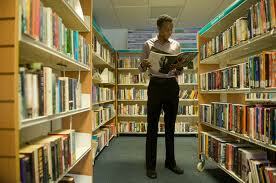 The Harris research also found that women are more likely to use the local library than men. Related to this, more than 70% of women in the survey possess a library card, compared to only ~57% of men. Children may be a factor in how strong a relationship adults have with their local library, since adults who have children are significantly more likely to patronize the library — and more often as well. For those who have library cards, nearly 80% reported that they’ve used the library at least once in the past year. Indeed, more than one-third use the library on a monthly basis or more frequently. Regardless of their own personal library usage patterns, more than nine in ten respondents in the Harris survey consider libraries to be a valuable education resource for their local community. 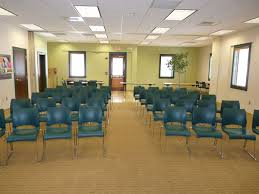 Nearly as many consider the library to be an important community center and meeting space. Based on the Harris results, the role of libraries may be evolving more slowly than I would have thought. And they still play a central role in the nourishment of their communities. What about you? How are you using (or not using) your local library these days? Please share your experiences with other readers here. Harris Poll: What Americans say they want in news coverage. When it comes to the news, Americans say they’re tired of so much attention on celebrity gossip and scandal stories … but are they really? Experience has shown that healthy foods on the menu at fast food establishments test well in consumer attitudinal surveys — only to bomb big time when actually introduced. It seems as though many people answer the way they think they’re “supposed” to respond, even though they’ll never actually opt for the apple slices in lieu of the order of fries. I wonder if the same dynamics are at work in a recent Harris Poll, which queried ~2,500 Americans age 18 or over about their preferences for news topics. The online survey was conducted in August 2014, with the results released this past week. For starters, three-fourths of the respondents felt that celebrity gossip and scandal stories receive too much coverage. I suspect that the “actual reality” is different from how the survey participants responded. If news organizations weren’t seeing keen interest generated by their celebrity, entertainment and sports stories, they would stop producing them. Simple as that. You can view more findings from the Harris survey, including data tabulations, here. Among the interesting findings is the degree of trust people have for various different news media: network TV news, local TV news, local newspapers, national newspapers, online news sources. 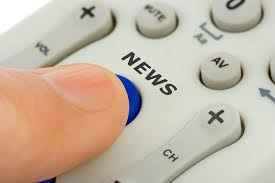 What are your thoughts about news topics? Which ones are getting proper coverage versus too much? Please share your observations with other readers here. Football remains America’s #1 favorite sport – and it isn’t even close. The Super Bowl XLVIII game between the Seattle Seahawks and Denver Broncos may have been a yawner … but that doesn’t mean pro football is in any danger of being knocked off its perch as America’s #1 favorite sport. In fact, a December 2013 Harris Interactive Poll of ~2,300 American adults who follow at least one sport finds that the gap between pro football and any other favorite sport is a big as ever. Today, ~35% of American adults say that professional football is their favorite sport, whereas only ~14% say that professional baseball, the next most popular sport, is their favorite. That 21 percentage point gap is even larger than the previous year’s polling by Harris, which found ~34% naming pro football as their favorite sport, compared to ~16% for pro baseball – a difference of “only” 18 points. Harris has been querying American adults on this topic annually for nearly 30 years. In only one other instance before has the preference gap between football and baseball been as great as it is today. 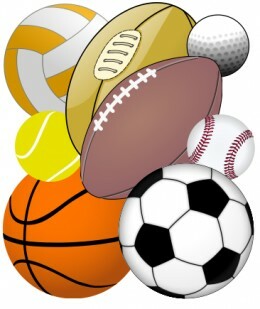 In fact, since the question was first asked by Harris back in 1985, pro football’s popularity as a favorite sport has risen 11 percentage points … while pro baseball has dropped by 9 points. That means that whereas the two sports were at near-parity barely a generation ago, the divergence in the two’s fortunes has been dramatic since then. Americans who live in rural areas are more likely to cite pro football as their favorite sport (~44%), as are ~39% of Easterners and ~42% of people with children under the age of 18. At the other end of the football popularity scale, people with post-graduate degrees are less likely to prefer professional football (~24%). Perhaps the game isn’t subtle enough for them! As for professional baseball, Hispanic Americans are more likely to cite it as their top favorite sport (~19%), as well as similar popularity percentages of suburbanites and people living in households with incomes over $100,000. Is it a surprise that Southerners are more likely to cite college football (~17%) than any demographic other sub-group as being their #1 favorite sport? I think not. And how about auto racing? It’s the #1 favorite for Americans living in rural areas (~12%) … those with household incomes under $35,000 (~12%) … as well as people with high school or less education levels (~11%). 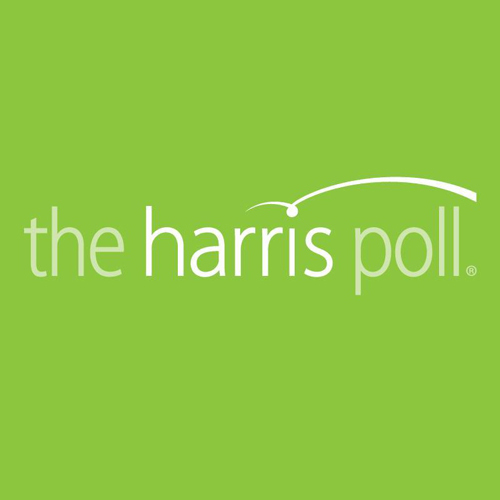 If you’re interested to see how Harris’ survey results reinforce certain demographic stereotypes – or not – you can view more details here.